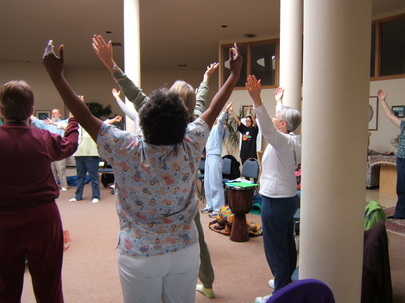 Most cultures have traditions of group singing and chant for worship. 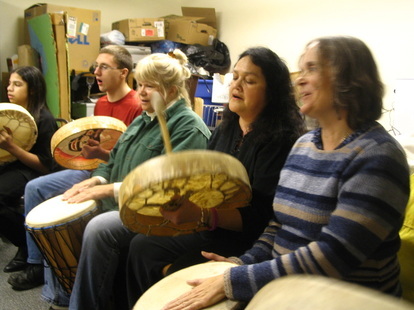 Chant includes a wide variety of musical styles, from lively to serene. Robert Gass describes chant as "The worship and celebration of the sacred through melodically simple vocalization." Many thanks to everyone who took the Baha'i chant survey in August-September 2011. Over 400 Baha'is and their friends from 32 countries responded. 95% want more chanting, intoning and singing prayers in their Baha'i gatherings and core activities.The Baha'i Chant Project is providing information, products and services to help you do just that! The Baha'i Chant Project is a grassroots, voluntary community service program, managed by Nancy Watters in consultation with the LSA of Oak Bay, British Columbia. Want to contribute ideas, photos, links, funds? Drop Nancy a line . . .
Have you ever wondered how to . . . Create a joyful, spiritual atmosphere that quickens souls? Add immeasurably to the vitality and unity of your community? Find harmonious ways for people of all faiths to connect heart-to-heart?